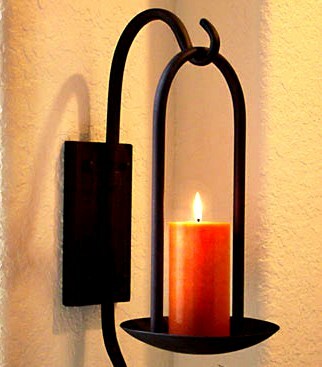 Welcome your guests, enhance the mood in your Mexican home or add an element of romance to your bedrooms with this solid and beautiful iron wall sconce. We have seen such fixtures throughout Mexico in colonial homes, rustic villas as well as beach condos. They are always a charming, elegant and pleasant surprise. Equally at home in an Asian or Contemporary style room as in Rustic or Hacienda decor. We suggest placing several of them throughout your home as a beautiful lighting option and for added visual impact.